NYT Cooking is a cross-platform subscription service that gives home cooks access to more than 19,000 tested and curated recipes, useful cooking guides and a thriving network of support and inspiration. We created a campaign to raise awareness of the service to a wider audience, proving its value in a crowded landscape of cooking instruction. 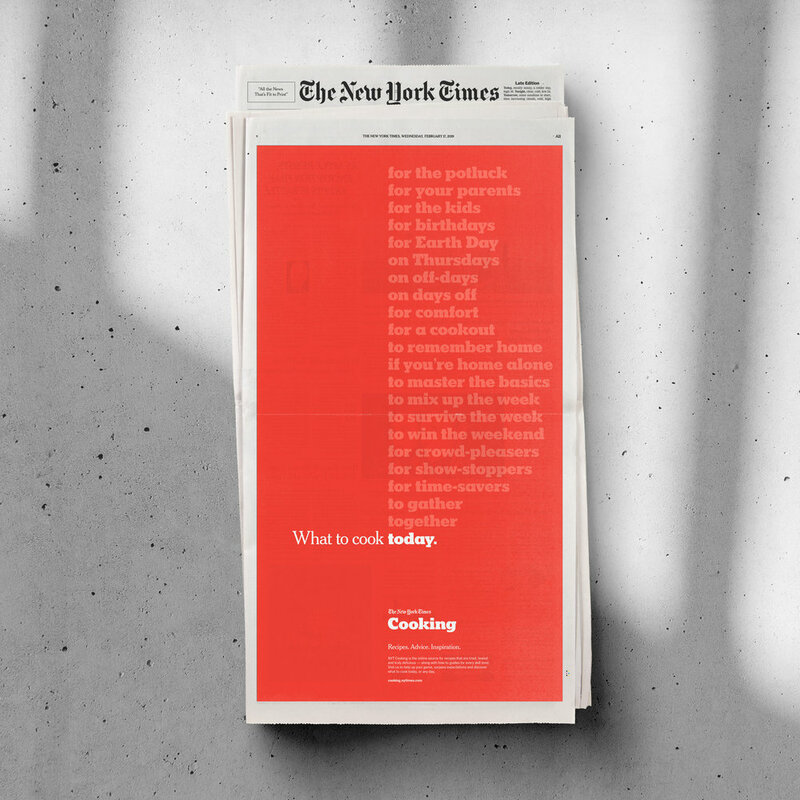 Anchored by the line ‘What to Cook’, our campaign highlights the endless emotional and functional needs that Cooking answers—from daily meal inspiration to specific situations, cravings, skill levels and party sizes. This linguistic framework allowed us to create a unified, yet diverse campaign across multiple platforms including OTT, digital, print and social.